Creativity Shell Wins Green Light from Mayor’s Office to Launch Houston's First M.A.D.E Market! 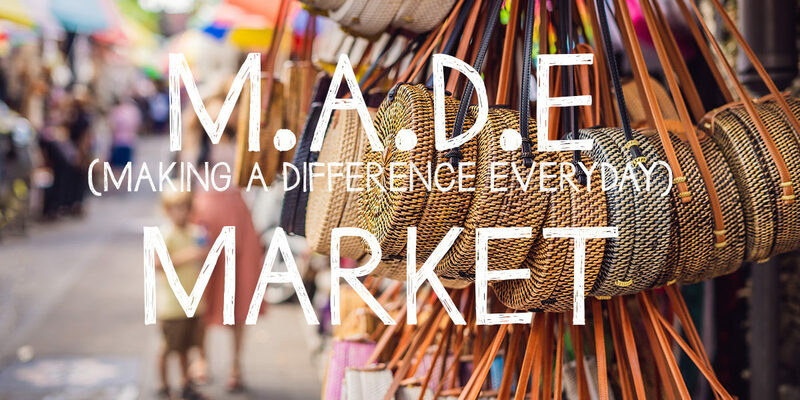 Nonprofit organization, the Creativity Shell has received a green light from the Mayor’s office of cultural affairs as well as the Houston Arts Alliance to launch Houston’s first M.A.D.E (Making a Difference Everyday) Market! For those of you that do not know about the Creativity Shell, they are a Houston organization on a mission to use creative trades such as sewing/textile arts to educate and inspire the next generation of makers. The organization teaches classes to students in schools, libraries and shelters that rescue children from homelessness and human trafficking. Classes are designed to educate and inspire students by teaching them essential life and practical skills. The M.A.D.E Market is a program designed by the Creativity Shell that allows the organization to teach trades and art classes such as sewing/textile arts, cooking, woodworking, pottery and other crafts to students residing in shelters that rescue youths from homelessness, domestic violence and human trafficking. For the M.A.D.E program, the Creativity Shell will be working with students from the Young Adult Resource Center at the Salvation Army, students from Tony’s Place as well as a few other shelters in Houston that cater to homeless youths. Students will participate in weekly classes where they will learn to make a variety of different art/craft items and they will also learn about business and finance as a method to keep track of the products and supplies they are using for their projects. At the end of the semester (generally 12-14 weeks), the Creativity Shell will be launching the first public M.A.D.E Market where people from all over the Houston area can come and shop from the students who participated in the program. Student vendors will have their own booths and will have the ability to interact with customers in a face to face setting while selling the items they created. “We are still finalizing the details for the date and location of the M.A.D.E Market” says Shelancia Daniel, who is the founder and executive director of the Creativity Shell. “We know that it will be in April, 2019 and it will be somewhere downtown Houston.” Daniel Added. When asked what will happen to the funds raised by the student vendors in the Market, Daniel says “the students get to keep all the money they make.” “Many of the students we work with have been exploited, trafficked and abused for the financial gain of others. By teaching our students to create and by giving them the freedom to keep the money they make, we are hoping to build a lasting connection towards self-sufficiency and independence.” says Daniel. Materials and supplies for the M.A.D.E Market are provided through sponsorships and donations. If you would like to sponsor a student to participate in the classes leading up to the M.A.D.E Market, please consider donating to the M.A.D.E campaign at www.creativityshell.org/donate.